In a thrilling weekend of swimming, Ludlow Swimming Club members achieved excellent results on the weekend of 23/24 June 2018. So, a good weekend’s swimming all round, with some thrilling results. A fitting finale to Ludlow’s competitive Open Season. See you all at the final round of the Mercia League! A really exciting weekend for Ludlow Swimmers, during which a team from our Squad attended the first meet of the new Mercian League for the year. Swimming on Saturday night were; Una Frith, Bronte Martin, Phillipa Price, Darragh Frith, George Townsend, Edward Morris, Georgia Smythe, Evie Humphreys, Erin Morris, Macie Speke, Scarlett Bailey, Marissa Brown, Natalie Vlok, Faye Carnell, Erin O’Shea, Charles Martin, Jack Forreseter, Emerson Love, Holly Page, Anna Booker, Holly Bailey, Sarah Gray, Rebecca Morgan, Jake Evans, Luke Brayford, and Sam Millington Marsh. The evening started spectacularly, with both Rebecca Morgan and Sam Millington Marsh achieving first places in the Individual Medley. Further first places were secured by Edward Morris in the U10 boys Backstroke, Rebecca Morgan in the Open 100M Fly, and 100M Backstroke, Darragh Frith in the U10 Boys Freestyle, Jack Forrester in the U14 Boys 100M Fly. Third places went to the Girls Open Medley team ( Anna Booker, Holly Page, Sarah Gray, Rebecca Morgan), Bronte Martin in the U10 Girls Backstroke, Sam Millington Marsh in the Open Butterfly, Charles Martin in the U12 Boys Backstroke, Phillipa Price in the girls U10 Breaststroke, George Townsend in the boys 10U Butterfly, Faye Carnell in the Girls 12U Freestyle,and Jack Forrester in the Boys 14U Breaststroke. Finally, a mention to those placed fourth, earning a valuable 3 points for the Club; the Girls 10U Freestyle relay team ( Bronte Martin, Evie Humphreys, Phillipa Price, Una Frith), the Girls 14U Freestyle relay team ( Marissa Brown, Natalie Vlok, Faye Carnell, Erin O’Shea), the Boys Open medley relay team ( Jake Evans, Luke Brayford, Sam Millington Marsh, Jack Forrester), Macie Speke in the 12U Breaststroke, Evie Humphreys in the 12u Backstroke, Sarah Gray in the 14U 100M Fly, Jake Evans in the Open backstroke , Holly Page in the girls Open Freestyle, the Girls Under Medley team (Bronte Martin, Phillipa Price, Una Frith, Erin Morris), the Boys U12 Freestyle Team ( Darragh Frith, Edward Morris, Charles Martin, Emerson Love) and finally, the Boys Open Freestyle relay team (Luke Brayford, Jake Evans, Jack Forrester, Sam Millington Marsh). Well done to all our swimmers for a completely “clean” sheet this time – no DSQs! A small, select team attended the league event on Saturday, with all the swimmers making an heroic effort to swim all the races, with some swimming 7 or 8 times in the evening. Successes came in the form of the boys’ 11U team George Townsend, John Griffiths, Darragh Frith and Edward Morris, who made a good start, gaining fourth place in the free relay, despite all of the boys swimming in a higher age group. There was a similar success for the team in the medley relay at age 11, with Freddie Westall joining the line-up for this one in place of George Townsend. Sarah Gray put in a superb effort in the 13U 50 fly, securing 3rd place, and then Evie Humphreys got a first place in the 25M Backstroke event for 9-10 year olds. Darragh Frith then made 4th in the boys’ 9-10 25M Backstroke, and Oliver Morgan secured a first place (and a PB of 1.02.05) in the 15U free and 4th place in the 15u 50 butterfly. Bronte Martin, Georgia Smythe, Una Frith and Holly Morris then made 4th place in the 9-10 free relay and John Griffiths, George Townsend, Freddie Westall and Darragh Frith then made a 3rd in the 9-10 boys Free relay immediately after. Holly Morris secured a 3rd place in the 25m 9-10 freestyle, and Darragh Frith made another 4th in the boys event, then also making a fabulous 2nd place in the boys 9-10 25m Butterfly. Erin Morris put in a great performance, making 2nd place in the girls 25M backstroke. Well done to the girls’ 9-10 medley relay team, who won their event (Holly Morris, Isla Skelly, Bronte Martin and Georgia Smythe and to the boys’ 9-10 medley relay team, who were 3rd (Darragh Frith, Freddie Westall, Edward Morris and John Griffiths). Isla Skelly put in a fantastic performance, making 3rd place in the 9 yrs 25M breaststroke. And finally, in a thrilling finale, the Canon relay team, comprising Charlie Banford, Kaelan Griffiths Sargeant, Edward Morris, Evie Humphreys, Anna Booker , George Townsend, Holly Morris, John Griffiths, Oliver Morgan and Sarah Gray made 4th position. We were disappointed to come out in 6th position, but this was due mainly to the ages of the team members – many of whom were swimming in events two ages above, and the results where swimmers were in their own age groups were very encouraging . Well done to Isaak and Kaleb Herbert, Anna Booker and Natlie Vlok who were firmly in this camp and put in excellent and selfless performances for their club. There was a lovely, supportive atmosphere throughout, and the swimmers should be very proud of themselves. We are now looking forward to the next Wyvern event on 21st April at Newtown. A recent year’s record number of swimmers from Ludlow Swimming Club achieved County Qualifying times for the 2018 event, and were successful in securing personal best times for their profiles on Swim England. Swimmers making finals in their events were; Jack Forrester 100 Backstroke – 50 Backstroke, Oliver Morgan 100 Backstroke- 50 Backstroke, 200 Backstroke, Emerson Love 100 Freestyle- 50 Freestyle- 100 Backstroke, Edward Morris 100 Breaststroke- 100 Individual Medley -50 Backstroke-100 Backstroke, Toby Lloyd 100 Breaststroke- 50 Breaststroke- 100 Backstroke, Tess Tinsley 100 Butterfly- 50 Butterfly – 100 Backstroke -100 Individual Medley – 100 Freestyle- 200 Freestyle, Amelia Osborn 50 Butterfly, Evie Humphreys 50 Backstroke, Isla Clarke – 100 Breaststroke, Rebecca Morgan 200 Backstroke- 100 Butterfly – 50 Backstroke, Eleanor Cox 50 Backstroke, Sam Millington Marsh 100 Breaststroke. 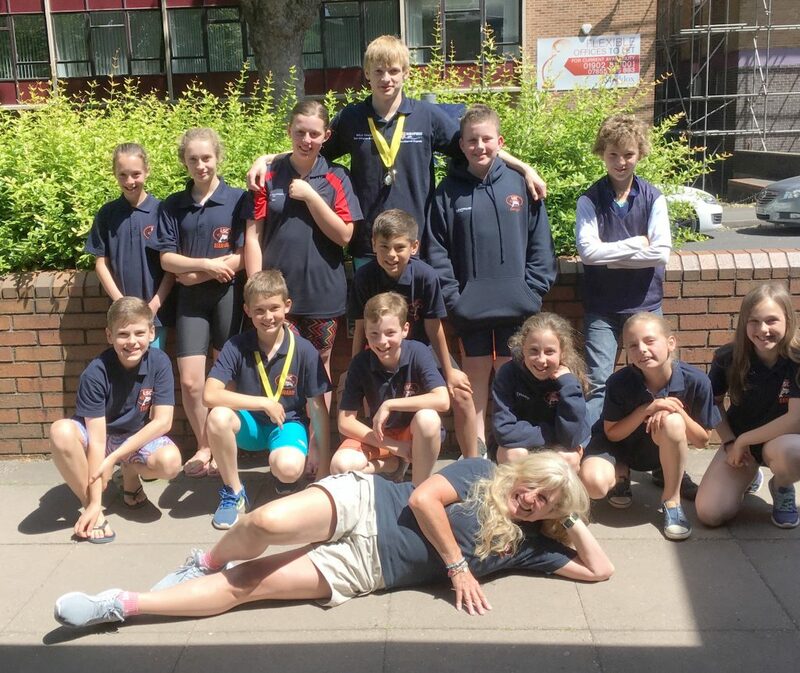 Competition was fierce at this year’s event, and, the Ludlow swimmers performed brilliantly under pressure, with Tess Tinsley and Oliver Morgan both finishing with a Bronze medal apiece. Also attending were, Sam Lloyd, Lily Churchett, Erin O’Shea, Philippa Price, Tilly Weaver, George Townsend, Tom George, Sarah Gray, Ellie Evans, Kaelan Griffiths Sargeant, Anna Booker, Charlie Banford, Oona Herbert, Isaak Herbert, John Griffiths, Olivia Smith, Holly Morris and Faye Carnell. Head Coach, Sandra Burgess reported “ I would like to say a huge Well Done to everyone who attended. You were a credit to our club and should be proud of what you have achieved. A full team of swimmers from Ludlow competed on Saturday 14th October 2017 in the first round of the Arena League. There were some excellent results including a Second Place for Rebecca Morgan in the grueling first 200M Individual Medley race with a time of 2.38.06,and she also secured a First Place in the Open Butterfly with a time of 1.11.72 and a Second place in the Open Backstroke with a time of 1.12.34. First Place in the boys 15U Backstroke went to Oliver Morgan with a time of 1.06.28 and also securing First Place in his 100M Backstroke event was Jack Corston with a time of 1.04.60, as well as a commendable Third Position in his Open Freestyle event with a sub one minute 0.58.12 time. Another great success was newcomer to Ludlow, Claire Beddow, who swam to First Place in the Open Freestyle with a 1.05 finishing time. 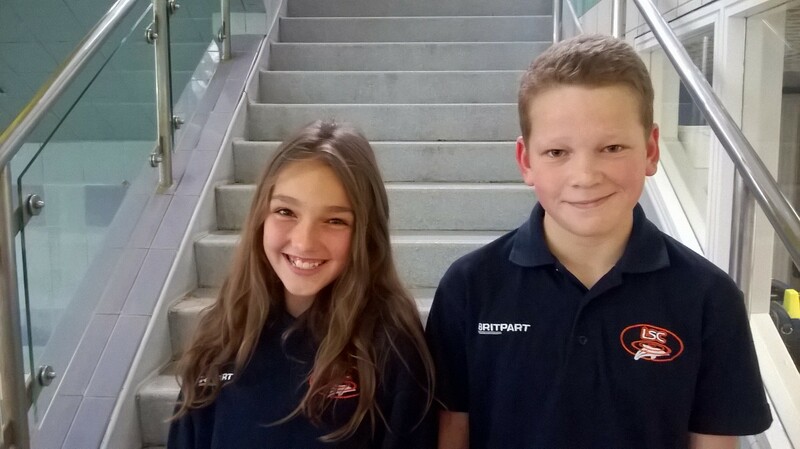 Jack Forrester secured a creditable Third Place in his 13U Backstroke event with a time of 1.20.90 and Tess Tinsley swam a great race, securing Second Place in the 11U 50 M Backstroke with a time of 0.41.31. Sarah Gray should also be mentioned, as she supported the Club by swimming a total of seven races – a brilliant achievement, and thanks to Kieran Martin and Jack Corston who both made the journey from their respective Universities to swim for the Club. At the end of the gala, Ludlow secured a total of 126 points, putting them in sixth position, but there were encouraging signs of improvement, particularly in the youngest swimmers who are new to the circuit. Well done Ludlow, a good start. 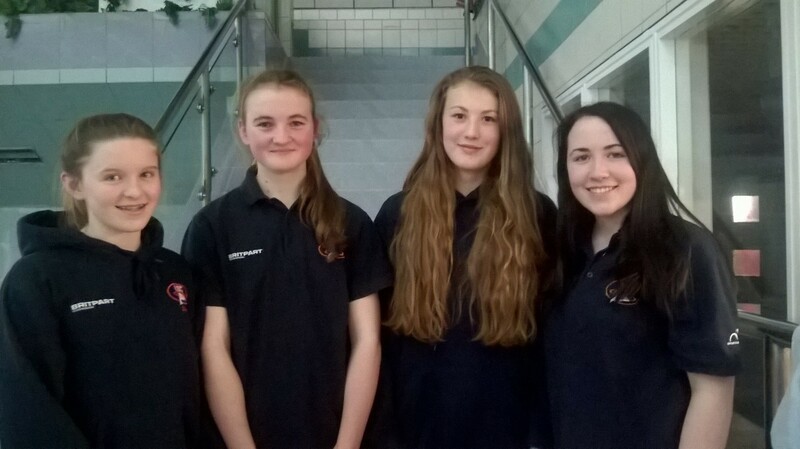 A team from Ludlow Swimming Club attended the Mercia Gala (final round) on Saturday. Despite having a depleted team due to exams, holidays and family commitments, the atmosphere was brilliant, with everyone, parents and swimmers alike, getting behind the team and some promising results from the young team. In particular, the Under 10 girls Freestyle relay team , comprising Oona Herbert, Faye Carnell, Bronte Martin and Isla Clarke secured a 2nd place, and the Under 14 girls relay team were placed 3rd (Kaelan Griffiths Sargeant, Sarah Gray, Eve Carnell and Tess Tinsley). Faye Carnell performed brilliantly in the girls 10 U Freestyle race, achieving 2nd place, and Sarah Gray (who did a brilliant job for the team, swimming in 7 races) came 3rd in the U14 girls Fly. Tess Tinsley achieved a 3rd place in the U12 Girls Fly and Eleanor Cox came 2nd in the U12 Girls Freestyle. Charles Martin was placed 3rd in his U12 boys Freestyle race, and the U14 Girls medley team also achieved 3rd place ( Eleanor Cox – Backstroke, Eve Carnell – BRST, Kaelan Griffiths Sargeant – Fly and Sarah Gray – Freestyle). These results proved that when we have teams appropriate to their age groups, we stand a good chance of success and are a real pointer for where our strength is likely to come from in the future. Where we do fall short, is in higher age group swimmers, meaning that our younger team members often have to swim up to cover gaps and are then not on form for their own swims. I shall, as coach, be looking at this issue carefully at future galas, and will be lobbying our older members to help more during the coming season for Arena League. Thank you to all those parents and children who attended and well done. Although we finished 6th, our swimmers should be very proud of themselves. During an evening of exciting races and thrilling swimming, achieved an overall 4th position with 186 points,with Orion Swimming Club Winning with 225 points. The gala got underway with a brilliant First position in the Girls Open Individual Medley by Rebecca Morgan. 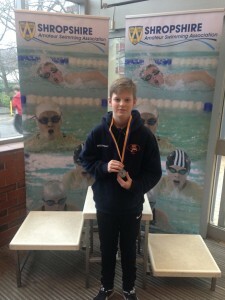 First places were also secured for the Club by Charles Martin (boys10U backstroke), Sam Millington Marsh (boys U14 Butterfly and Breaststroke), Katie Wright (girls U14 Breaststroke), Jack Corston (boys Open Backstroke and Freestyle), and the boys U14 Medley Relay team (Luke Brayford – Backstroke, Oliver Smith Davies –Breaststroke, Sam Millington Marsh – Butterfly and Charles Martin – Freestyle). Second places were achieved by the boys U10 Freestyle Relay team (Emerson Love, Jack Evans, Toby Lloyd and Charles Martin), the boys Open Medley Relay team (Jack Corston – Backstroke, Kieran Martin – Breaststroke, Jordan Angell – Butterfly, Jos Cole- Freestyle), Rebecca Morgan (girls Open Butterfly and Backstroke), Emerson Love (boys U10 Breaststroke), Rosie Corston (girls U14 Freestyle), Oliver Smith Davies (boys U14 Freestyle), Kieran Martin (boys Open Breaststroke), Charles Martin (boys U10 Butterfly), boys U10 Medley Relay team (Jack Evans – Backstroke, Toby Lloyd – Breaststroke, Charles Martin – Butterfly, Will George – Freestyle), the girls U14 Medley Relay Team (Alex Chubb – Backstroke, Katie Wright – Breaststroke, Rosie Corston – Butterfly, Beth George – Freestyle), and both the girls and boys Open Freestyle Relay Teams (Rebecca Morgan, Alice Martin, Holly Page and Isla Meredith, and Jos Cole, Kieran Martin, Jordan Angell and Jack Corston). Although the final score showed the Club in 4th position overall, the gap is shortening between the totals earned by Ludlow and overall points earned by the winning clubs, and this is a very encouraging result, with all the swimmers proving their determination to succeed and showing really positive moves in the right direction. Head Coach Sandra Burgess wished to give a special mention to Tilly Weaver, who was swimming in her first gala, and a thank you to the swimmers who returned from University to support their Club (Isla Meredith, Jordan Angell and Kieran Martin). Team List ; Open – Rebecca Morgan, Jack Corston, Isla Meredith, Alice Martin, Jos Cole, George Jennings, Kieran Martin, Jordan Angell – Under 14 Sam Millington Marsh, Oliver Smith Davies, Luke Brayford, Holly Page, Katie Wright, Alex Chubb, Rosie Corston, Beth George – Under 12s Ella Davies, Eve Carnell, Sarah Gray, Hannah Wright – Under 10s – Tess Tinsley, Faye Carnell, Tilly Weaver, Macie Speke, Charles Martin, Emerson Love, Will George, Jack Evans, Toby Lloyd. A fabulous second day of the meet, resulted in three Gold medals, one for Tess Tinsley in a thrilling final of the 10 years 100m breaststroke and another two for Jack Corston in the 100 metre fly -a departure from his usual freestyle and backstroke races, with great results ( a new direction, Jack?) and the 100m freestyle. Luke Brayford, Jack Corston and Sam Millington Marsh all made the final of the 100 metres freestyle (14 years and above) and Lotti Sargeant made the final of the under 12 breaststroke. 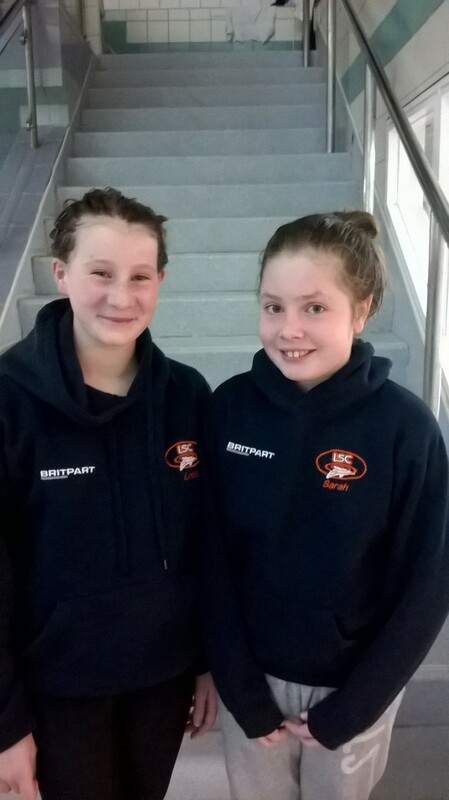 Imogen Ingle and Molly Key both had a really good show in their 100 breaststroke events, achieving personal best times, as did Toby Payton in his first competition,swimming 100 freestyle. Rosie Corston also made the final of the girls (14 years) 100 backstroke. A brilliant and exciting first day was enjoyed during the Shropshire Development Meet at Wolverhampton central baths today. New entrants to the gala circuit were Molly Key in the 12 year old section and Daisy Pitt in the 10 and under 100 freestyle event. Daisy achieved a personal best time of 201.05, a total of 7.05 seconds under her previous best time, and Molly narrowly missed a place in the 200 breaststroke final with a brilliant personal best time of 358.87, smashing her previous time of 4.08.04. Finalists in the girls 100 m freestyle were Lotti Sargent (11 years) and Sarah Gray (12years), and also having a very good race in this section was Ella Davies. Luke Brayford achieved a place in the boys 100m breaststroke final, achieving 4th place with a new pb of 141.91, as did Sam Millington Marsh in the boys 100 backstroke final (14years). Rosie Corston achieved a new personal best in the girls 100 freestyle, smashing the 110 barrier with a 108.89 . Charles Martin earned a well deserved Gold medal in an exciting boys 100m backstroke final (126.35 – previous pb 130.16). Jack Corston also achieved a fantastic Gold in the 17 and over 100 backstroke, then 2 further Silver medals in the 200 freestyle and 200 IM. ( times; 105.24 BS, 211.25 200 FR, 227.82 200 IM) Oliver Morgan earned Silver medals in the 100 fly (13 years – time 301.72)also 200 IM. ( time 252.19) and 200 freestyle ( time 225.07). Finally, Rebecca Morgan achieved 2 Gold medals ( girls 15 years 200 backstroke time 237.93 and 100 fly 113.44 ) and a Silver in 100 M freestyle( 104.92). A great team from Ludlow Swimming Club attended the second round of the Mercia League galas, achieving some really promising results. First place in the boys 10 and under 50 M Backstroke, went to Charles Martin with a time of 40.76 and the Club also recorded a second place in the boys 12 and under 100M Backstroke, thanks to Jack Forrester, with a time of 1.21.60. We went on to achieve 3rd and 4th placings in the majority of events, despite having only two boys and two girls in the Open category, and meaning that under 14 age group members were swimming in races against much older competitors. The team featured a number of “newbies” to the gala circuit, with Oona and Isaak Herbert, Charlotte Davies, Natalie Vlok, Toby Lloyd and Alexander Brown competing for the first time. The Club are extremely proud of their performances and, even more importantly, their maturity and excellent attitude during the event. Unfortunately, the team finished in sixth position with 104 points but everyone gave their very best efforts and can be proud of their achievements on the night. Team members were ; under 10s Tess Tinsley, Oona Herbert, Charlotte Davies, Natalie Vlok, Toby Lloyd, Isaak Herbert, Charles Martin, Emerson Love ; Under 12s Olivia Smith, Sarah Gray, Lotti Sargeant, Ella Davies, Thomas Brown, Alexander Brown ; Under 14s Katie Wright, Holly Page, Sam Millington Marsh, Charlie Brown, Luke Brayford, Alex Smith ; Open Swimmers Isla Meredith, Sydnee Marsh, Natasha Lockett, Rebecca Morgan, Jordan Angell, Kieran Martin, Jos Cole, George Jennings, Jack Corston. 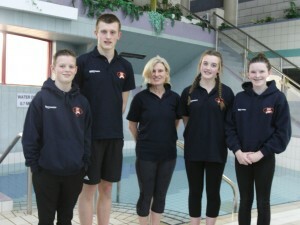 Officials in charge of the swimmers were Sandra Burgess (Head Coach) and Matthew Morgan (Team Manger). Many Ludlow swimmers achieved stretching qualification times prior to the event, and, as a result, eighteen members of Ludlow represented their club. (Swimmers were :- Oliver Morgan, Jack Corston, Tess Tinsley, Thomas Brown, Charlie Brown, Rebecca Morgan, Lotti Sargeant, Jack Forrester, Rosie Corston, Ella Davies, Sara Gray, Faye Carnell, Eve Carnell, Kathryn Fish, Olivia Smith, Charles Martin, Sam Millington-Marsh, George Jennings ). Many of the swimmers achieved Personal Best times, a real achievement, given the size of the event and the pressure of performing, and they all behaved with maturity and were an asset to the club. The atmosphere at the tournament was incredible, and the members rose to the occasion with their usual energy and cheerful enthusiasm. Finalists in their events were ; Thomas Brown – Age 11 (100M Freestyle, 100M Breaststroke,50 Fly, 50 Breaststroke), Rebecca Morgan – Age 15 (50M Fly, 100M Backstroke, 100M Fly, 50M Freestyle ), Jack Forrester – Age 12 (50M Backstroke, 100M Freestyle, 100M Backstroke, 50M Breaststroke) , Charles Martin – Age 10 (50M Freestyle, 50M Backstroke). 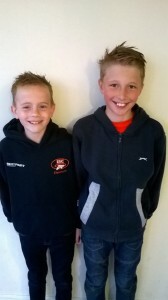 Sam Millington Marsh – Age 15 (50M Backstroke), Oliver Morgan – Age 13 (200M Backstroke, 50M Freestyle, 50M Backstroke, 50M Fly, 100M Backstroke). All results have been posted to the Ludlow Swimming Club Facebook Page by Matt. 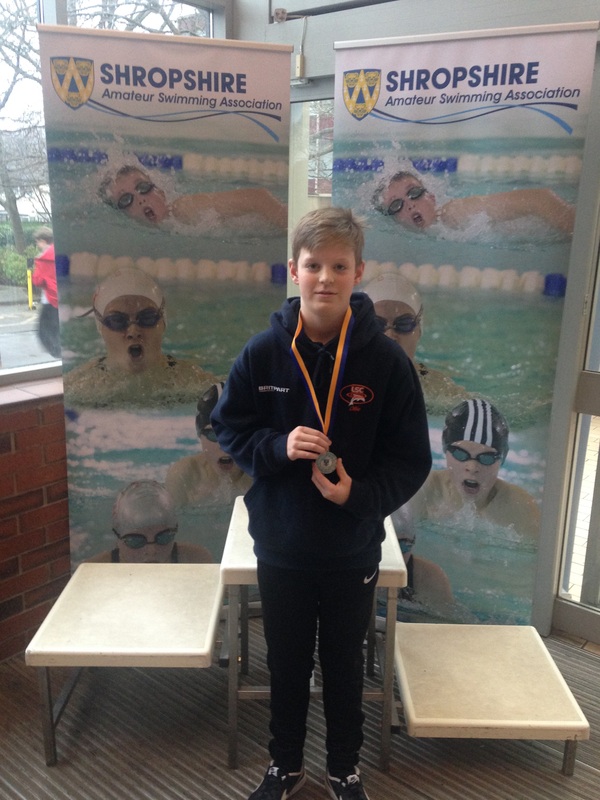 Oliver Morgan was the star of the event for Ludlow, taking home Gold in 50M Backstroke, Gold in 100M Backstroke, and a further Silver in 200M Backstroke, achieving Midland County Qualifying times. This is a real achievement, making him the best swimmer in the County for two events. However, the Club is immensely proud of all the swimmers who attended and look forward to further success in years to come, given the number of members qualifying for the County Championships and finals this year. The Club attended the last round of the National Arena Swimming League on Saturday 12 December, achieving first placings in boys’10-11 backstroke (Jack Forrester)), girls’ 13 Years Breaststroke (Katie Wright), Boys’ 13 Years backstroke (Oliver Morgan) Womens’ open Freestyle (Isla Meredith) and Mens’ open Freestyle (Jack Corston). The girls’ Under 15 relay team achieved a commendable third place in each of their races (freestyle and medley) and also swam up to help the Open Ladies to equal that third placing in the Medley and final Freestyle events Other placings of which we can be proud are; Jack Corston (Open 200M Medley – 2nd place), Oliver Morgan ( boys’ 13 and Under Butterfly- 2nd place), together with 3rd places in Girls 15 and under Breaststroke (Sydnee Marsh), Open Breaststroke (Kieran Martin), Boys’ 15 and under Freestyle (George Jennings) , Girls’ 15 and Under Butterfly (Rebecca Morgan) and Ladies’ Open 200M Medley race (Isla Meredith). “Our team have worked hard during this quarter to increase both their stamina and efficiency, and a particular mention should be made to those swimmers who undertook races outside their comfort zones to help achieve success for their club, even though they might have been disappointed with the end result. 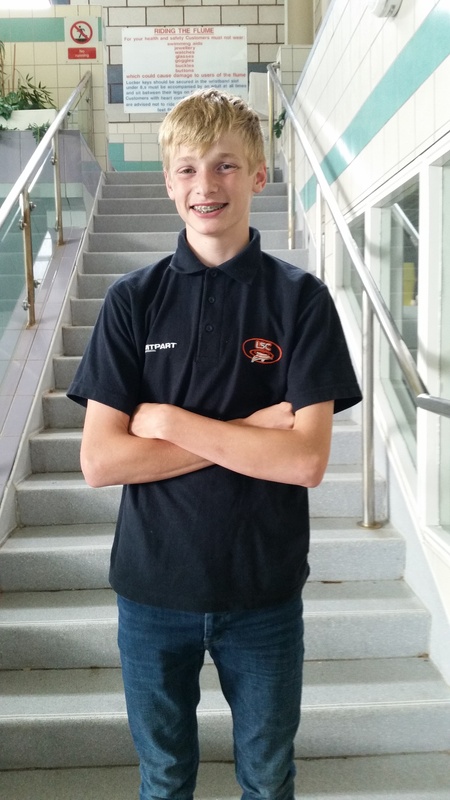 Sam Millington Marsh, in particular, stepped in to swim 100 Metres Butterfly for the first time. A small group of swimmers from Ludlow Swimming Club attended the Open Gala at Hereford, with good results. Oliver Morgan, Rebecca Morgan, Rosie Corston and Jack Corston all put in a great deal of effort before the event, training hard to beat their previous personal best times. Jack achieved 5th Back Crawl 50M (31.51 seconds) and 6th place Free Style 200M (2mins 0833) in the Open section, with a first place in his Freestyle 200M heat, where he swam 6 seconds quicker than his previous Personal Best. Rebecca also achieved Personal Best times in 50M Fly (34.54, Silver medal for age group), and 50M Back crawl (35.22, Gold Medal). Rosie achieved a 39.97 second time in her 50M Back Crawl race and 32.43 second time in her 50M Freestyle, a Personal Best in both instances. the latest gala of the National Arena Swimming League season took place, at the Snowdome Centre in Tamworth, with Ludlow swimming club entering a team of 10 – 24 year olds. It was a very exciting event, and the Ludlow swimmers really pulled out all stops to secure 4th place scoring 183 points just missing out on second by 16 points, swimming against teams from Telford, Bromsgrove, Camp Hill and Tamworth. Absence due to illness and other engagements meant that many of the members had to swim against athletes much older, so this result was particularly pleasing. Head Coach, Sandra Burgess said, “It was great to see so many swimmers returning from University to support their team, and the younger swimmers really did us proud. Swimming for the first time were Sarah Gray, Lotti Sargent and Kaitlyn Orme, I am sure we can build on this positive result to improve our rating in the League”. Particular mention should be made to Rebecca Morgan, who, at only 14, achieved second place in the Ladies’ 200M Individual Medley race, along with a brilliant first in 15 and under Butterfly in a time of 1:19.04. Other swimmers who achieved first place were Oliver Morgan ( 13 and Under Backstroke 1:14.30 and 100 Freestyle), Katie Wright (13 and Under Breaststroke 1:29.98), Kieran Martin ( Open Breaststroke 1:19.67), Jack Corston (Men’s 200M Individual Medley 2:26.98 and 100M Freestyle 57:53), Jack Forrester (Under 11 Backstroke) and George Jennings (15 and Under Backstroke 1:17.22). Well done to the girls 15 and under team of Alice Martin, Rebecca Morgan, Beth George and Tash Lockett who completed 13 races between them including all the open races. All the swimmers gave their best effort to the event, and despite a disappointing final result, the Club performed well in many of the races, giving the new Coach, Sandra Burgess, a good insight into the strengths to build upon, and areas for improvement. Jack Corston and Oliver Morgan from the Open and 13 and under teams respectively, both gained second place in 100 free and 100 back. Pictured are Jack Forrester, from the Boys’ 9-11 team, and Eve Carnell from the Girls’ 9-11 team. Ludlow Swimming Club competed in the third and final round of the Mercian Summer League and did so with such enthusiasm and passion. It was held at Tamworth Snowdome on Saturday 11th July. Swimmers made their competitive debuts in this competition over the last few rounds and have given themselves and the club positive points to move forwards and progress. Many of the club swimmers didn’t only swim in their own age groups but older categories and still racked up the points adding to the total for each round. A massive congratulations and thanks to those who swam, keep swimming, aim high and don’t give up. The Club have appointed Sandra Burgess as our new head coach she comes with lots of experience and enthusiasm having taught swimming for the last ten years, she aims to bring new ideas and training methods to the club, These are very exciting times for the Club. On Saturday 13th June, Ludlow Swimming Club attended the second round in the Mercian summer league in Cheslyn Hay. They came up agains some good teams such as, Coventry, Northgate, Boldmere, Solihull and Orion, this was to be a tough challenge for Ludlow. Ludlow’s team spirit started high with good points being scored by both open swimmers in the individual medley, next up were the youngsters who showed great determination and swam their best brining back points. Some of these young swimmers were at their first gala and so didn’t know what to expect, Scarlet Bailey and older sisters Holly and Alice were amongst these beginners and proved their rights to be in the squad by swimming fantastically well. Going into the individual swims Ludlow showed vast improvement on the last round with only 2 swimmers being disqualified, proving that their technical training has paid off and the swimmers are putting the effort in. Kieran Martin swam very well in his individual 100m breaststroke coming second and only 2 seconds off his personal best in a 1.19.07. Along with Jack Corston coming second in 100m backstroke in 1.07.44 which is a new personal best, and third in 100m freestyle in another new personal best time of 58.94 which is a fantastic achievement as Jack has been sitting his GCSE exams. With the next round just around the corner Ludlow will get back to training hard and look to improve again with their next performance in July. 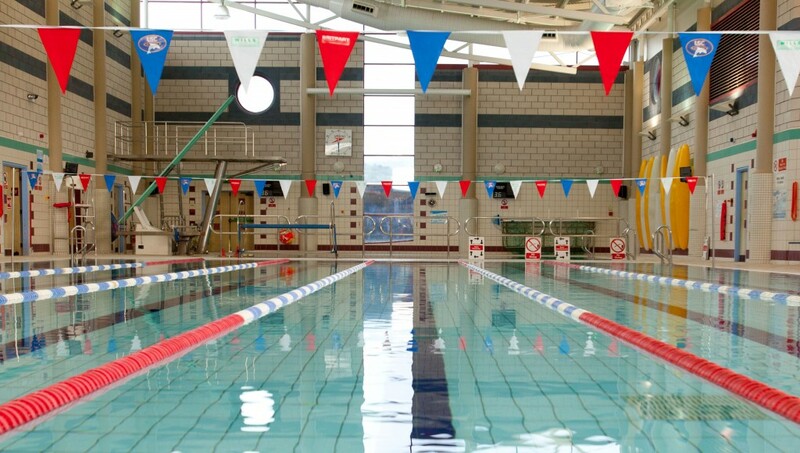 On Saturday 25th April, Ludlow swimming club competed in the first round of the Mercian summer league, this was held at Nuneaton and Ludlow were the hosts of this event. The evening went off to a good start with both open age swimmers Isla Meredith and Jordan Angel swam well in the 100m individual medley. This gave the younger swimmers something to aspire to and gives them a good boost going into their relays. Some fantastic swims in the relays showing that Ludlow work well as a team, still with room to improve on some technical elements of the swim. Tess Tinsley, Faye Carnell, Albie Sewell Price and Charles Martin were swimming in a competitive gala for the first time and they rose to the occasion with no issues in their events and showing that they are ready for future events. Unfortunately due to some illnesses on the night, some events had to be changed putting pressure onto other swimmers. However these swimmers handled it very well and got on with the task in hand with no issues at all, even with Alice Martin, Ffion Gilbert and Natasha Dalziel having to do some events that weren’t at the top of their favourites list. As a team Ludlow always come together and support each other, Kieran Martin, Jordan Angel, Jack Corston and many more of our older swimmers lead the team in cheering for each other and the younger swimmers followed their lead creating an inspiring environment to race in. Some fantastic times were produced and points gained with some swimmers hitting new personal bet times, Jack Corston swam a new personal best time in his 100m freestyle and was over the moon with his performance much like head coach Adam Fear, who said, “its amazing to see the youngsters response when the older swimmers hit personal best times and finish in the top 2 or 3 in their races, it gives the whole team something to aim for and drives them to do the same”. Ludlow are now working towards the next round of this league which will take place on 13th June 2015 where they will aim to score more points to take them further up the league table. Ok so what a weekend it’s been. I’d like to start by saying what a pleasure it has been over the last 2 years to be able to call myself the head coach of a great club. There’s still work to be done but for now you can all relax over Christmas and come back because 2015 is our year, not to step forwards but to leap forwards, in our performance abilities. So last night was the 3rd round of arena league where we started with a few swimmers missing, this meant that the swimmers we had had to step up to the mark. And that is exactly what they did with many of our swimmers doing more races and swimming up into older age groups. We gained some good points with outstanding swims from everyone both individually and in the relays. There is one swimmer who I have been amazed with over the last 3 galas and this swimmer has not only swam in the 11under group but also in the 13u, 15u and as of last night he swam in the open relay at the end of the gala, and may I say he did it with style by overtaking the lane next to us giving us a better shot in the last legs of the race. This swimmer is Oliver Morgan and we should all be proud of his abilities and effort he puts in to ludlow swimming club. That said I am very proud of everyone who has taken part in this series of galas. Take pride in what you do it is always appreciated and noticed throughout the coaching team! And finally we have today’s presentation and Christmas party which was a great success and that is thanks to the clubs committee and parents of swimmers for organising it. So thanks for anyone involved it was a great night. And thanks for you al turning up and making it worth while… It’s events like this that make us all realise how many people we are influencing in the pool and the support we have around us. That said if you have friends, brothers, sisters, cousins, nieces, nephews or anyone else that would like to join the club please get them in contact with us and we will help facilitate their needs and improve club numbers to make the next few years even more successful. Thanks to everyone who has helped poolside your a great asset to the club. And again just thanks to everyone who is involved in the club no matter how big or small the part you play. Have a lovely christmas see you all in the new year!!! 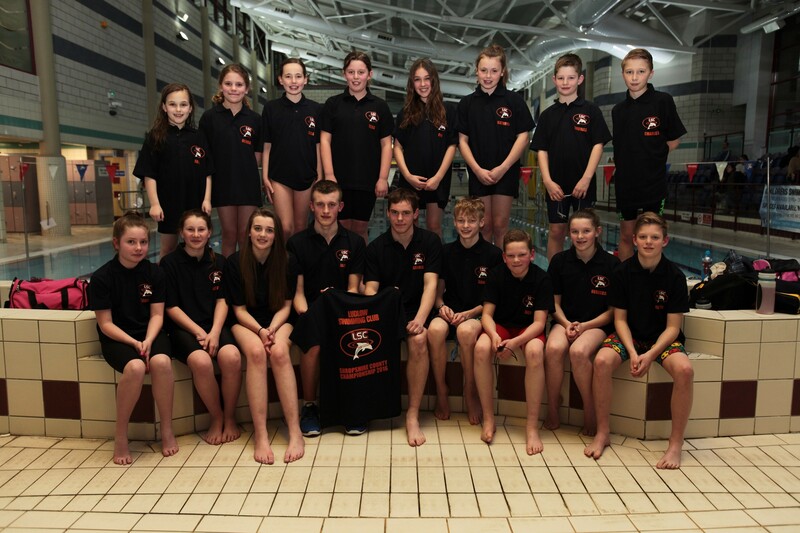 Ludlow swimming club participated in round two of the National Arena League last weekend at Tamworth. Ludlow were competing against Telford, Blythe, Tamworth and Perry Beeches. The evenings events went well and as always these young swimmers swam with gusto and enthusiasm. Many of our younger swimmers are at the lower age in their age category and often are swimming in the age group above, this never deters them from doing there absolute best. Swimming requires a great deal of commitment and in our very busy lives and living so rurally this commitment is multiplied, so a great many thanks to our swimmers and their families, our committee and team of voluntaries who give up their time to teach and officiate. Our open swimmers from university once again travelled to support the club and did so with some great results. Guy Woodhouse wasn’t fazed by swimming the 100 Fly and achieved a PB. Oliver Morgan swam well under pressure swimming in 3 individual events and 2 relays, sister Rebecca as always did some super swimming. The girls 15 year old team were just beaten in the medley relay at the start of the evening and were determined to win the Front crawl relay later in the evening, which they did with a 2 second advantage. Halfway through the events a consecutive triple win by Oliver Morgan, Ffion Gilbert and Jack Corston boosted the team. The whole team were proud of Jack Corston who PB in the 100 F/C with a time of 59.68. The evening ended with some fantastic swimming in the open freestyle relays with both teams placing second.With 5 disqualifications the team finished 3rd without these we would have been placed 2nd but it was still another great show for Ludlow Swimming Club and we look forward to the third and final round in December. On the 14th December we are holding our Christmas Party at Ludlow Rugby club from 4pm this will include the presentation of medals from the club championships. For more info on Ludlow Swimming Club Visit our website www.ludlowsc.org uk or find us on Facebook. Ludlow swimming club competed at the Hereford open even which was held over the weekend of 16th and 17th November, this was a good chance for the swimmers to improve on their personal best times and get some up to date times to work on through their training. The weekends competition got off to a great start with many of the swimmers smashing their personal best times. Some of these performances came from Oliver Morgan, Rebecca Morgan, Ffion Gilbert and Jack Corston. All of the swimmers were happy with their performances and showed their pride and confidence as they continued to improve throughout the day with the afternoon additions which included Imogen and Peirce Bowsher, who achieved good times in their races. After the first day and through to the end of the second day Oliver Morgan was in the running for the top boy in his age group even after only swimming the Saturday events, this showed he had performed extremely well to give himself maximum points. The final round of this years national arena league was upon Ludlow swimming club and they were in good spirit. This was held at Reditch swimming pool on Saturday 14th December, and Ludlow were up agains some tough teams. The evening started off great with some gutsy swims from the open swimmers 200m individual medley, Heulwen Gilbert and head coach Adam Fear, bringing the first points of the night. Onto the relays and with some of our younger swimmers such as, Oliver Morgan, Peirce Bowsher, Oliver Smith-Davies, we still managed to keep a good position in the competition. The individual races still had swimmers smashing personal best times and proving to themselves that the training has been worth it. Jack Corston managed yet more personal best times in the 100m freestyle and backstroke lifting his spirits into the relays, this gives the whole team a boost knowing that each individual swimmer is proud of what they are achieving. The points race was beginning to get close with nail biting performances all the way till the end of the night, this is where the open freestyle cannon, consisting of 6 swimmers for both male and female, became more and more vital to add to the points. The girls up first with a brilliant performance where, yet again, we had younger swimmers like Rebecca Morgan swimming up into the open category. Finally finishing with the boys cannon relay team, going in with some excellent times from Kieran Martin, Jack Corston, Jordan Angel we were in a good position to compete for first place. Eddie Thomas up next to bring the team closer to victory with 2 more swims left to come from Christopher Bayliss and Adam Fear, and with the whole team lifting the spirits through the roof we finished in a comfortable first place. All of the swimmers left the building knowing they have achieved as much as they could and are all looking forwards to future competitions. Ludlow swimming club took part in their second round of the national arena league, held at Arc Leisure, Matlock in Derbyshire, on Saturday 9th November 2013. It was a tough draw and the team knew that they would have to work hard to gain points, they were competing against two out of the top three in the league Hinkley from Leicestershire and Radford from Nottinghamshire never the less the team were in their usual high spirits and swam with enthusiasm and gusto. The team had great swims all around, with younger swimmers again were having to swimming into higher age groups bring back points for the team. Some of these swimmers included, Oliver Morgan, Peirce Bowsher, Charlie Brown, Rebecca Morgan and Sydnee Marsh. In addition to these swimmers we had to call upon another swimmer to join us at the last minute, Lauren Wright, she stepped up to the mark and swam incredibly with personal best times, this gave the team the boost they needed in the 13 and under age group. Chloe Evans swam a great race in the 15 and under 100m butterfly, not her favourite event, where she hit a personal best and came 4th. William Prince also swam outstanding in his races coming back with personal bests and a huge smile on his face, feeling proud for himself and his team. Finally to touch upon the team spirit again, this helped massively in the team’s performance, giving them a rush of energy and adrenaline, aiding them in quality swims through to the bitter end of the competition. Another great show for Ludlow Swimming Club and we look forward to the third and final round in December. Also a big thank you to our Coaches, Time Keepers, Judges and Team Managers who give up their time voluntary ,Also to all the parents for getting the swimmers to Matlock either on the team coach or by car. New to this gala the club have introduced the player of the tournament where all the swimmers vote for their best swimmer using the Teamer app, with Oliver Morgan and Pierce Bowsher tying for first place. Overall team spirit and performances were great and the whole club is looking forward to the next round coming up in November.